The Jumu’a Mosque of Cape Town follows the model of the ‘Amal Ahl al-Madinah, or Behaviour of the People of Madinah, as transmitted by Imam Malik Ibn Anas. This has been chosen because it is the primal formulation of how the Jumu’a and indeed other practices of Islam are performed, since the Madinah of the first three generations is the closest record to the source of Islamic worship, both in its people and its location. Some of these practices are not familiar to many Muslims today. Yet the record of Imam Malik most closely describes the practice of the Messenger and his Companions, since Malik lived in, presided as Imam over, and never left Madinah, and was the undisputed heir of the collective knowledge of its illuminated people. 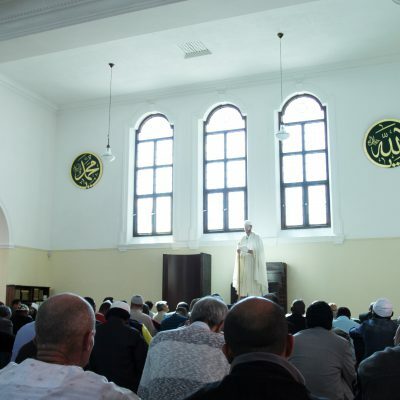 Therefore, the things people tend to notice at the Jumu’a Mosque of Cape Town – such as most of the people praying with their hands by their sides rather than over the chest, and not saying “Amin” out loud after the Fatiha – all these were the practised, by consensus, by the people of Madinah at the time of Imam Malik. Similarly, the Sunna is to abstain from Raka’ats after the Imam comes out in front of the people. It is also a Sunna to pray on natural, non-animal fibres as opposed to wool or other substances, hence the sisal carpet in the Jumu’a Mosque of Cape Town. Reed and fibre mats were commonplace in mosques all over the world until relatively�recently, and this is largely a lost Sunna. The Jumu’a Mosque of Cape Town therefore allows Muslims to partake in the source practices of Islam. However, the Mosque accepts, supports and defends all of the legitimate Madhhabs; indeed, guest Imams may be from other Madhhabs. The permanent Imam is however of the School of Malik. Modernist and Shi’a Imams are, however, not supported. It is this source-Islam of Madinah which has caused the Jama’at to grow so quickly and attract so many young people, and why so many people become Muslim here. Practices which have been added to the Jumu’a in other mosques, both in Cape Town and in many other parts of the world, but which do not really belong to the Jumu’a, have been left aside at the Jumu’a Mosque of Cape Town. 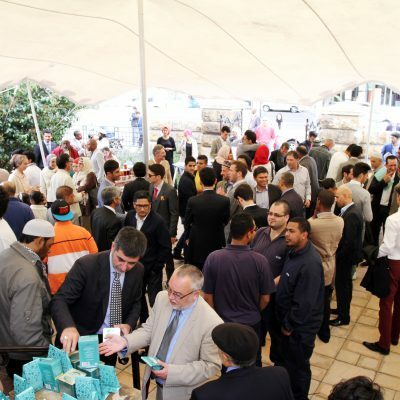 These include in particular the “pre-Khutba talk”, which has gradually transformed to take the place of the actual Khutba as the main vehicle for instruction and social guidance to the Jama’at. At the Jumu’a Mosque of Cape Town, the Khutba is delivered in English and Arabic, from the Mimbar (as permitted in all the Madhhabs), thereby reclaiming for the Mimbar its rightful place as the source of political and social instruction for the Muslims. Instead of a pre-Khutba talk, the time leading up to the Imam’s coming out – a time which Rasul, may Allah bless him and grant him peace, mentioned on account of its blessed status – is left free for activities such as Du’a, contemplation and recitation of Qur’an. 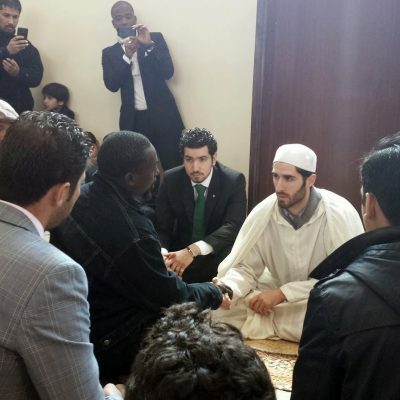 The Sunna is to wear one’s best clothing, hence the well-turned-out Jama’at at the Jumu’a Mosque of Cape Town. 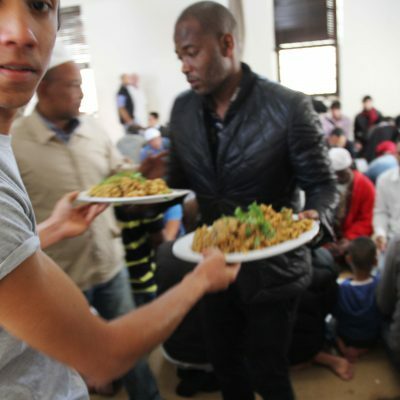 The Jumu’a Mosque was founded in order to provide Cape Town with a mosque whose primacy is based on a correct Islam rather than belonging to, or exclusively serving, any particular racial or social group. In Cape Town, as in many places with immigrant Muslim populations, the mosques have grown up around segregated Muslim communities. This has led to a closing-off of Islam to other cultures and communities, a lack of interest, respect and admiration from other races and communities, and not much expansion. The Jumu’a Mosque of Cape Town, however, has quickly become known for its striking mix of races.